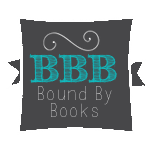 Bound By Books Book Review: Cover Reveal of CONFESSED by Nicola Rendel and enter the giveaway! Cover Reveal of CONFESSED by Nicola Rendel and enter the giveaway! Today we have the cover reveal for Confessed by Nicola Rendell.